upgraded to the direct flight! 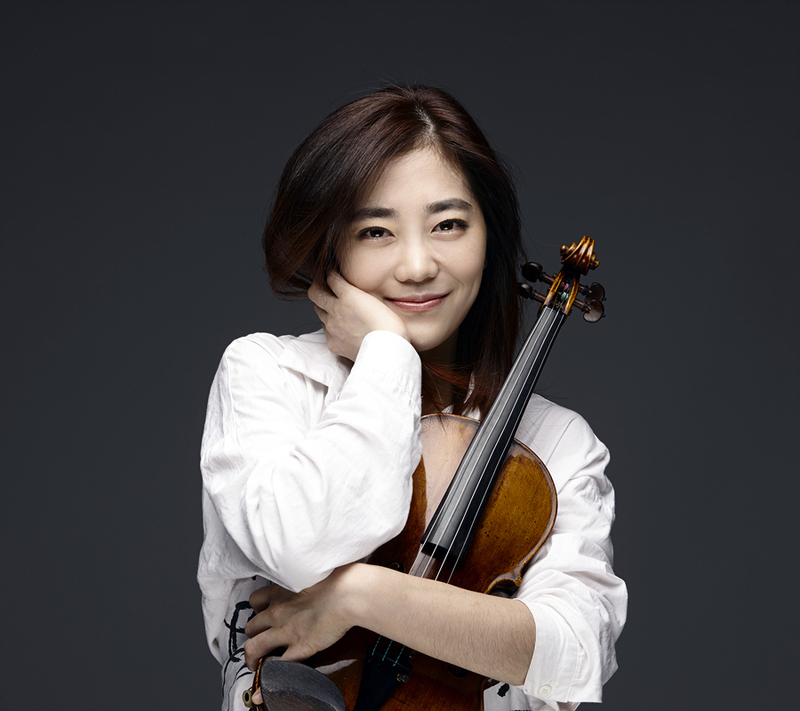 Violinist Ji-Hae Park was born in Germany. "Ji-Hae Park the World Tour, the legend has begun!" After her solo concert at the most prestigious and biggest concert hall Sejong Art Center. The 3030 seats were sold out before the concert. Ji-Hae reported afterwards that it had been just huge fun and also challenge for her. She played the core classical pieces like Beethoven and Saint-Saens in the first half of the concert. Then in the second half, she transformed to a rocker performing the Vivaldi's Four season, Haendel's Sarabande and Pachelbel's Canon in rock style. This type of concert was not the first one forJi-Hae. She made 6 all sold out mega size solo concerts with this program last year already. These were the first official live performances with 12 complete movements of Four Season with 5 men rock band in the world. Now she is heading to China and North Amerca tour after having successful start at the Sejong Art Center. The idea bringing this mega size concert tour to the reality with that much extremely opposite concepts in the first and second half in one concert came from the big success of recieving double Gold Discs of Ji-Hae's Black DECCA labeled albums in a row: a solo classical CD recorded in England by Universal Music (DECCA label) and the other one titled Baroque in Rock with same label(2013). Ji-Hae has been the honorary ambassador of the Korean National Commission for UNESCO since 2015. Not only as a musician, but also as a speaker representing Korea, she was invited to the main TED Conference held in the USA in 2013 and received a standing ovation from all conference participants. Her next stop is Malta, south from Italy, where she is invited as the vice president of the Jury for the Malta International Music Competition. Since 2009 she has given solo recitals in Seoul every year in front of audiences of 25,000, performing on her fine historical violin, known as the “Petrus Guarnerius 1735, Venedig”. The violin is one of the most fine violin together with the Stradivarius which was on loan by the German Foundation (Deutsche-Stiftung-Musikleben) 2003-2014 and now another Guarneri 1735 for her life time thank to big support of an anonymous sponsor. Following her successful New York debut at Carnegie Hall New York Concert Review reported: “Her stage persona is extremely charismatic and emotional, and she was able to bring out all the stylistic and dynamic contrasts of her varied composers.” She has also enjoyed great success with her performances at Washington’s Kennedy Center and the Walt Disney Concert Hall in Los Angeles, at the Rokoko Theater in Germany, and with orchestras including the Los Angeles Philharmonic, Seoul Philharmonic, Shanghai Philharmonic, KBS Symphony and Baden-Baden Philharmonic. She is frequently invited to appear as a soloist at national events within Korea, many of which have been broadcast on nationwide television. Since making her European solo debut with the Mainz Chamber Orchestra, when she was just 14 years old, she currently gives over 150 concerts a year. On a recent tour of North and South America she was invited to appear as the headline artist at FMX, one of the US’s ten biggest music festivals, in a slot filled by cellist Yo-Yo Ma the previous year. At the press conference in form of guerilla concert, competed 60 main stream to report her appearance. In addition to giving many solo recitals and orchestral concerts throughout the world, Ji-Hae also performs in churches, prisons, hospitals and leprosy clinics, hoping to touch and heal those suffering from broken hearts, and to inspire all kinds of people, not just existing classical music-lovers. For her extraordinary activity and influence, Ji-Hae was awarded the Grand Prize of “Most Respected Korean 2010”, so becoming the youngest ever winner of a distinction given to those Koreans who have shown great leadership and influence in encouraging national development and integration for the benefit of the nation and very recently she was awarded with "Korea Art and Culture Grand Prix" in Seoul. She was also appointed as a consultant to the National G20 Policy Committee by the Korean Presidential Office. Apart from the UNESCO, she is Honorary Ambassador for the Yeosu 2012 World Expo, as well as for the World WIKE City Federation, Africa Future Foundation and Korean National Commission and A+Asset. Notable television appearances include the popular SBS TV show Star King (four times), the KBS TV show Lecture 100° C and Classic Odyssey, scoring top ratings and ranking at first place in real-time website searches. Since her first solo recording in Germany, as a 14-year-old violinist, she has recorded nine CDs and two DVDs, revealing the breadth and depth ofher musical experience in many genres from classical to rock, and from traditional Korean folk tunes to gospel. Ji-Hae arranges all of the colorful elements on each of her CDs, and enjoys experimenting with and modifying new musical selections in order to make the classical violin more accessible to audiences of all kinds. She twice won First Prize in Germany’s national youth music competition “Jugend musiziert”: for solo performance in 2001 and chamber music in 2002. In 2003 she won Second Prize (and three additional special prizes) at the Remember Enescu International Violin Competition in Romania. She has also won awards at the Kloster Sch ntal, J rgen Sellheim and Johann Georg Pisendel competitions in Germany, the Brahms International Competition in Austria and the Andrea Postacchini International Competition in Italy, as well as the Pinchas Zuckerman Award for outstanding talent and potential, and a ZIRP Fellowship from the Rheinland-Pfalz Cultural Initiative. She was recently invited to sit on the jury both for the most hardest music competition and International Competition in Malta. Currently, she runs the campaign to introduce the Korean traditional melodies by playing and recording them arranged for the violin wishing for Korea`s peaceful unification.